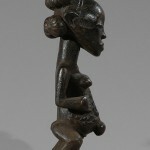 This young girl figure symbolizes “the desire for a safe birth” and according to Neyt’s superb book, LUBA, “The representation of women is omnipresent in Luba art. 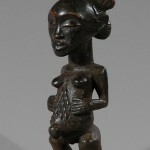 It is through the woman that the ancestor reveals himself anew in the child”. 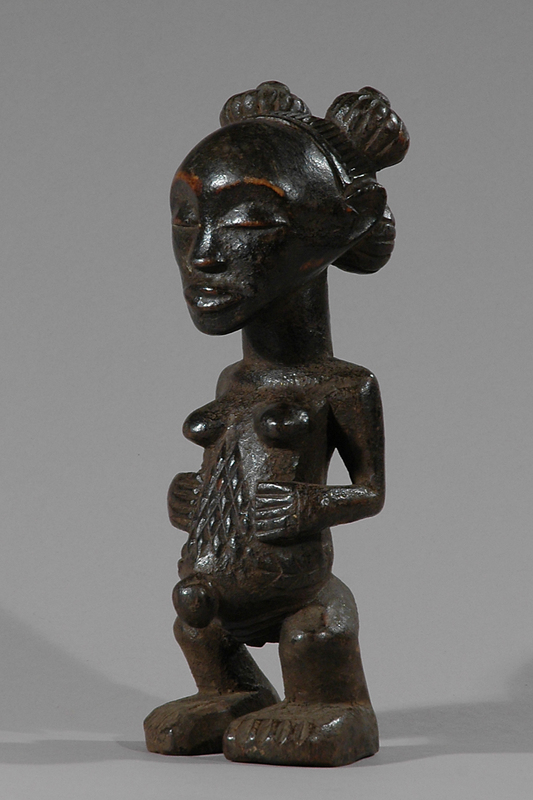 Sculpted figures with prominent breasts constitute a kind of unspoken Luba code for women. They are thought to hold special powers and those powers are located in their bodies. 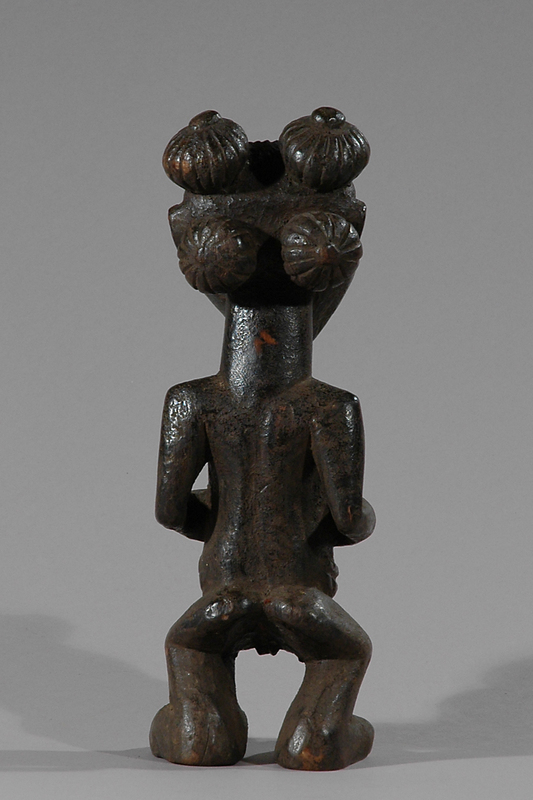 Figures like these, well-carved and sculpturally elegant females, reflect the prominent role women held in Luba society, whether in politics or in spiritual matters. 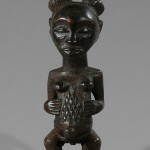 Female mediums known as Mwadi were acknowledged as reincarnations of dead Luba kings. It was, in fact, through the bodies of the women that Luba kings derived their power. Elaborate coiffure identifies and indicates the rank, status and role within Luba society of the individual. It serves as a mark of civilization and an extension of Luba aesthetics. Complex hairstyles take hours make and require a support to sculpt the hair in the elegant coiffures. 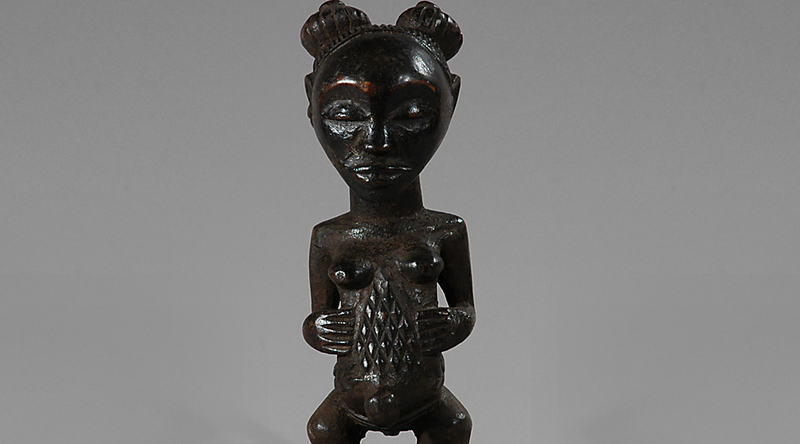 Though their vital role in each society is obvious, the sculptural emphasis placed upon the female form by the Luba isn’t completely understood. It is thought, however, that this dominance emerged from the very depths of their mythology. The exact population of the Luba is not known. Though they occupy a vast area of the D.R. Congo, the civil unrest in the region has prevented any census-taking for many years. Estimates run from the old figure of more than 200,000. At any rate, as people goes, they are not large. 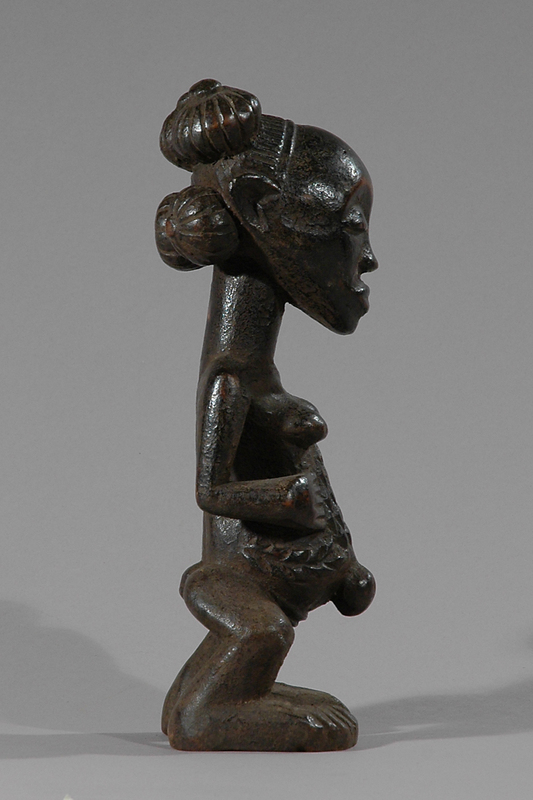 The world’s greatest museums and private collections are filled with Luba sculpture, as the beauty and serenity of their finest works transcend those of almost any other African culture. For such a small group, their enduring impact on the art world is startling. 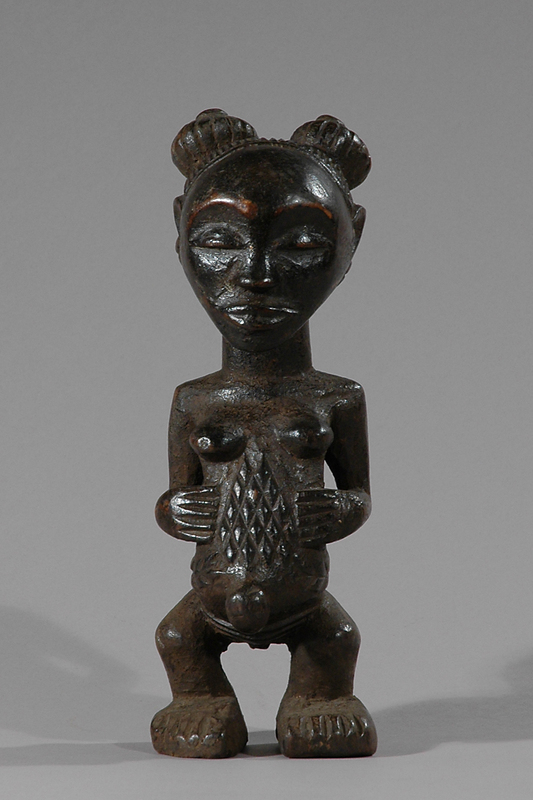 J. Cornet, A SURVEY OF ZAIREAN ART: THE BRONSON COLLECTION. 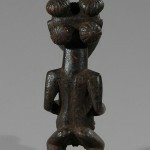 Provenance: Collected in Bujumbura, Burundi during the celebration of the republic’s 40 year anniversary in 2002.